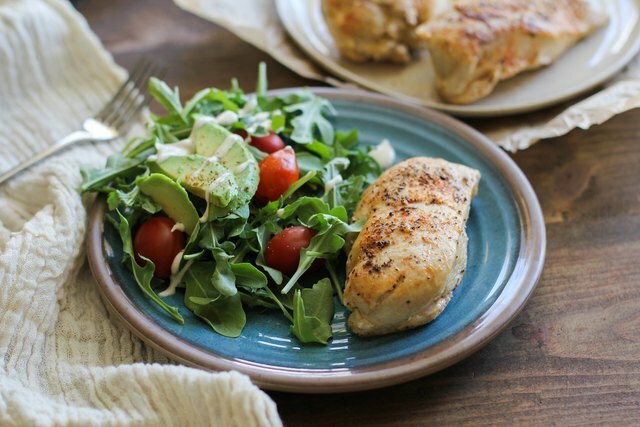 For those evenings you're looking for some lean protein, but don't have the time to formulate an elaborate meal, you can cook chicken breasts easily and quickly on the stove top in just 30 minutes or less. 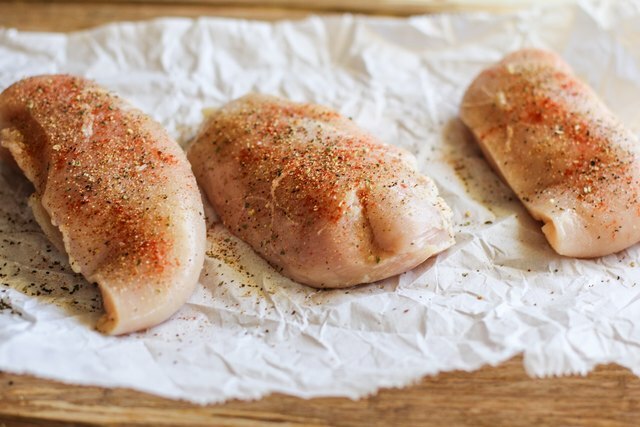 Choose your favorite seasonings to flavor the chicken to your personal taste. You can serve your pan-cooked chicken whole with side dishes, or shred or chop it and add it to your favorite meals, such as burritos, pasta, or risotto. 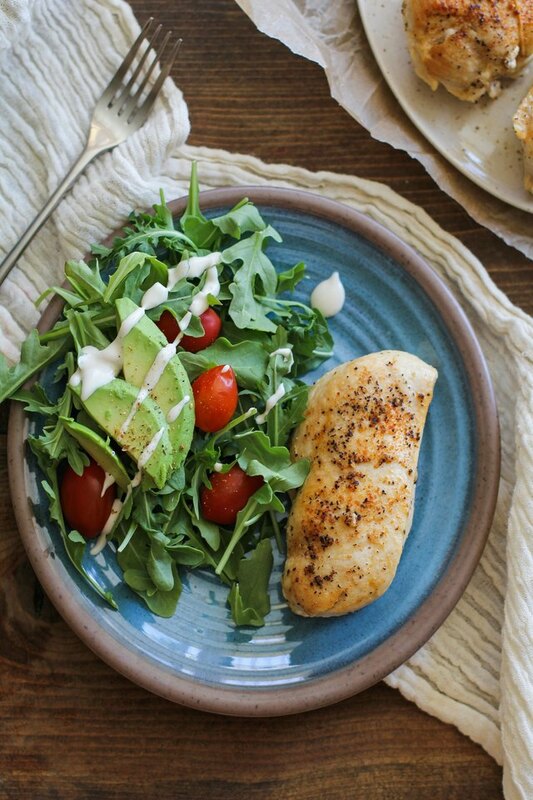 Get creative with your weeknight meals and enjoy an easy, healthy and tasty dining experience. For seasoned-to-perfection chicken, you can either use a store-bought chicken rub, or create your own rub using spices and dried herbs. Try flavors such as ground cumin, chili powder, Italian seasoning, lemon pepper, paprika, garlic powder, onion powder, Jamaican Jerk seasoning, or Cajun seasoning. 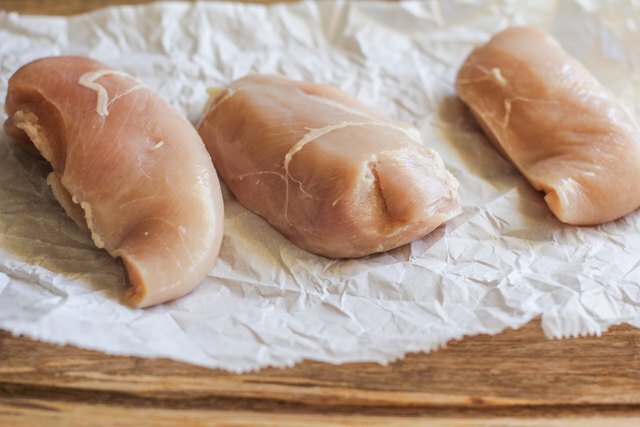 Remove boneless skinless chicken breasts from packaging and place them on a cutting board or on a plate. For best results, use a meat tenderizer or the bottom of a mug or jar to pound or press the breasts into an even thickness. Sprinkle both sides of each breast with sea salt and choice of seasoning. Garlic powder, onion powder, paprika, and Italian seasoning make a winning flavor combination! If you have the time, place the chicken in a seal-able plastic bag or container and refrigerate 30 minutes, up to 8 hours. 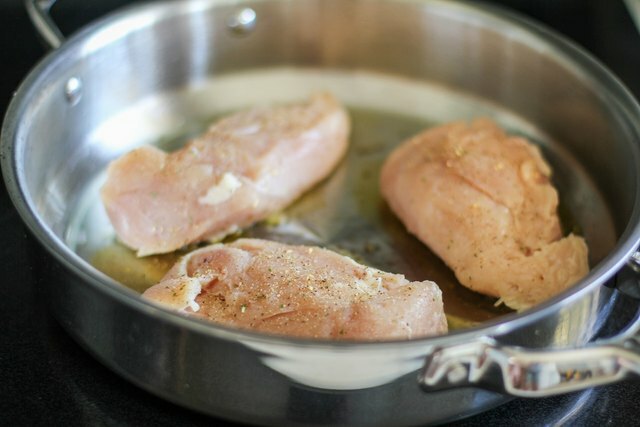 Once you're ready to prepare the chicken, bring it to room temperature in order to ensure the chicken cooks evenly. 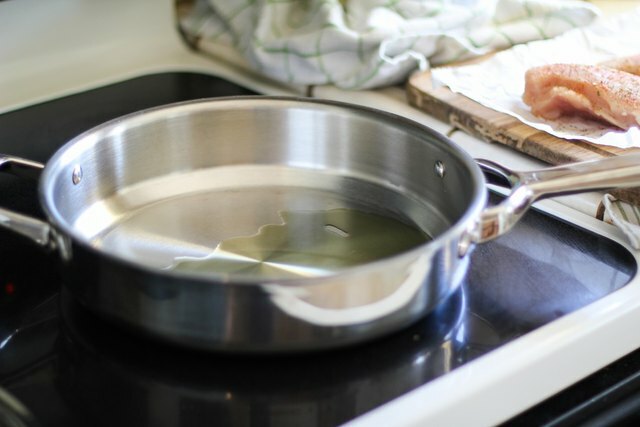 Heat 2 to 3 tablespoons of grapeseed, canola, or olive oil in a large skillet (or enough oil to generously coat the surface), and heat to medium-high. Rotate the oil so that the full surface of the skillet is covered. 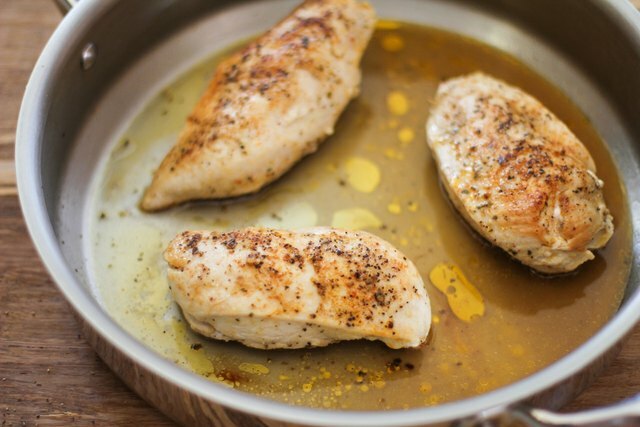 Once the oil is hot, place the seasoned chicken breasts on the skillet. Cook for 1 minute, then turn the heat to medium-low. Flip the chicken using tongs. Cover the skillet with a lid and cook on medium-low heat without uncovering or touching for 12 minutes. Turn off the stove, and remove the skillet from the heat. Leave covered for an additional 8 minutes without touching. Once the chicken is finished cooking, transfer to a cutting board. 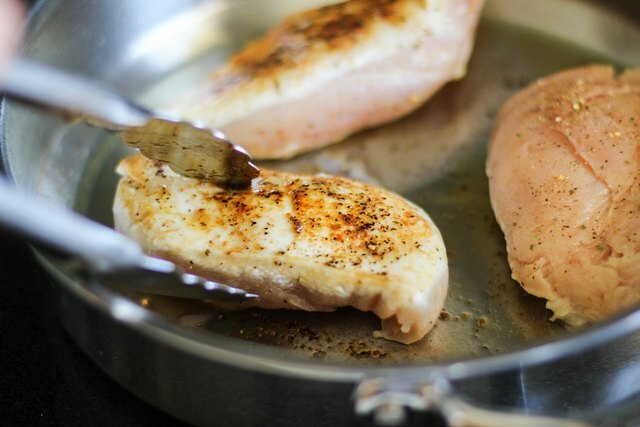 Insert a meat thermometer into the thickest part of the chicken breasts to check the temperature. The internal temperature of the chicken should be 165 degrees Fahrenheit. 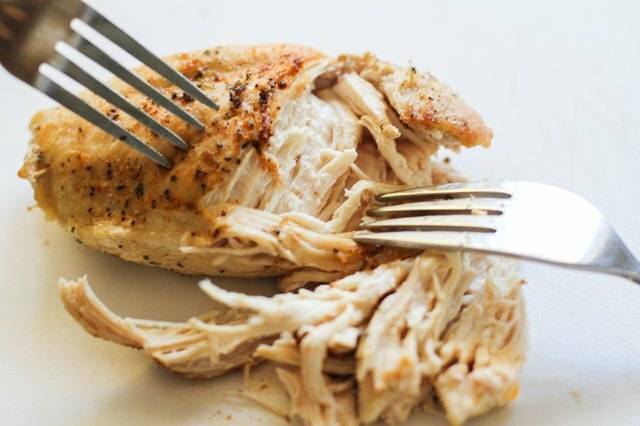 Once the chicken is cooked, you can either shred it with two forks, serve it whole alongside your favorite side dishes, or chop it into chunks and add it to salads, pasta, rice, or tortillas.